It has the Martin style headstock? My guess is that is a Yamaki build guitar for washburn. 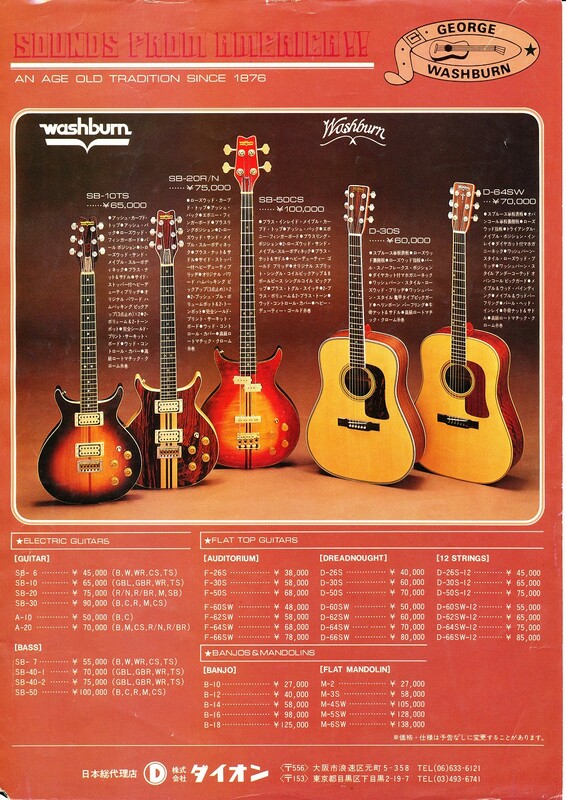 from what you describe looks similar to their D28S or the D30S that they build for washburn in the '70. My D29S has gold tuners and brass saddle, bridge pins and nut. It also has a serial number 83842 on the back centre brace. I bought the guitar new on 13/7/1982. I've been playing it this morning. It's a great guitar. 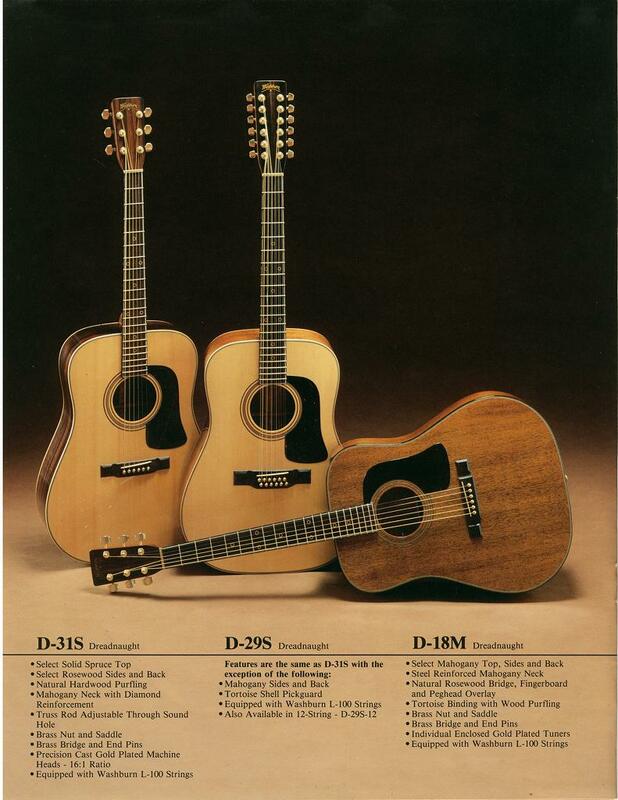 My D29s has spruce top, mahogany back/sides. My serial number is 821182. Is mine a 1982 build?